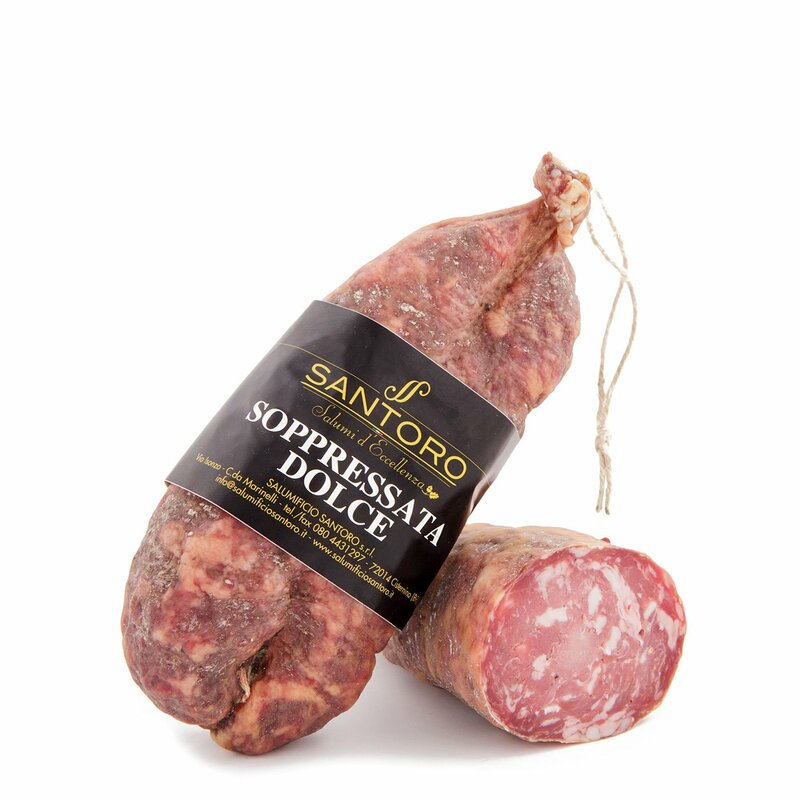 Sweet Soppressata is known as 'A subburséte in the Itria Valley, where Salumificio Santoro produces it with care and pride in local tradition. The hand cut meat and the long, irregular shape make this product tender like few others: it is simply mouth-watering. Registered among the P.A.T., the Traditional Agricultural Products of the Ministry of Agriculture, Food, and Forest Policies, it should be savoured to fully capture all its subtle flavours.